2016: Signed an extension with the Alouettes on Aug 2. 2016: Signed an extension with the Alouettes on Jan 18. 2013: Signed an extension with the Alouettes on March 14. 2011: Signed an extension with the Alouettes on Jan 12. 2009: Signed an extension with the Alouettes on Jan 18. 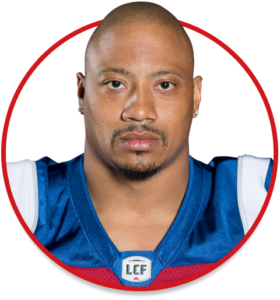 2006: Signed with the AIFL Rome Renegades; left the team in June to sign with the Alouettes. 2005: Signed with the af2 Daytona Beach Hawgs. Once again, Bowman was a pillar on Alouettes’ defense, leading Noel Thorpe’s squad with 10 quarterback sacks. He had three games with two sacks, including the season opener against the Winnipeg Blue Bombers. Overall Bowman made 28 defensive tackles, forced three fumbles and knocked-down one pass. 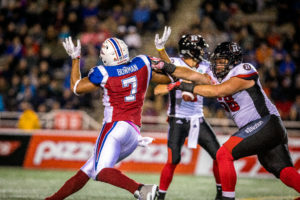 Bowman’s brilliance was once again recognized this season as he earned his sixth career East Division All-Star selection and his second CFL All-Star selection. In only 16 contests, Bowman amassed 46 defensive tackles and 19 sacks, which ranked him first in the league. He increased his lead as the team’s all-time quarterback sacks leader with an impressive total of 102. John Bowman’s brilliance was once again recognized this season as he earned his fifth career East Division All-Star team selection. In 17 contests, Bowman amassed 45 defensive tackles including 12 sacks, which ranked him fifth in the league. He increased his lead as the team’s all-time quarterback sacks leader with an impressive total of 83. He also earned the CFL Defensive Player of the Week honour in week number 2. 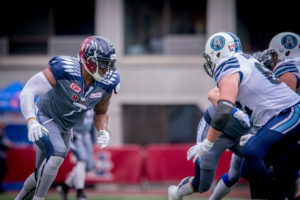 Bowman became the Alouettes’ all-time sack leader in 2013, ending the regular season with 71 career sacks after passing teammate Anwar Stewart on September 21 with his team-record breaking 67th sack against Hamilton. He completed the season with 11 sacks, good for second among Alouettes. Since first signing with Montreal in 2006, Bowman has recorded over 30 defensive tackles in six consecutive seasons, beginning in 2008. 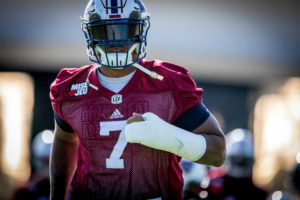 He finished tied for the Alouettes team lead alongside teammate Shea Emry with seven sacks in only 15 games, bringing his career total to 60 – good for second on Montreal’s list of all-time sack leaders. The 30-year-old also recorded a career-best 37 defensive tackles and helped secure a crucial victory for Montreal when he sacked Saskatchewan quarterback Darian Durant on the final play of the game in Week 16. He played in all 18 games and recorded 12 sacks for the third straight season. His sack total on the season was good for second in the CFL. He tied for first in the CFL for most forced fumbles and finished second for most sacks and also tied for first on the Alouettes for most tackles for a loss. 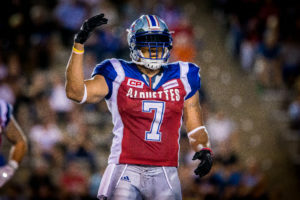 He led the CFL for most sacks and most forced fumbles and finished second on the Alouettes for most tackles for a loss. He led the Alouettes in fumble recoveries and was second in sacks and tackles for losses. He led the Alouettes in fumble recoveries and was second in sacks. He played for the American Indoor Football League Rome Renegades, recording 10 sacks. He then joined the Alouettes. He played for the AFL2 Daytona Beach Hawgs. He finished his career second all-time on the Bulldogs for most sacks with 23 and most tackles for a loss with 33…He set a school record with 15 sacks in a single season in 2003…He played 38 career games. 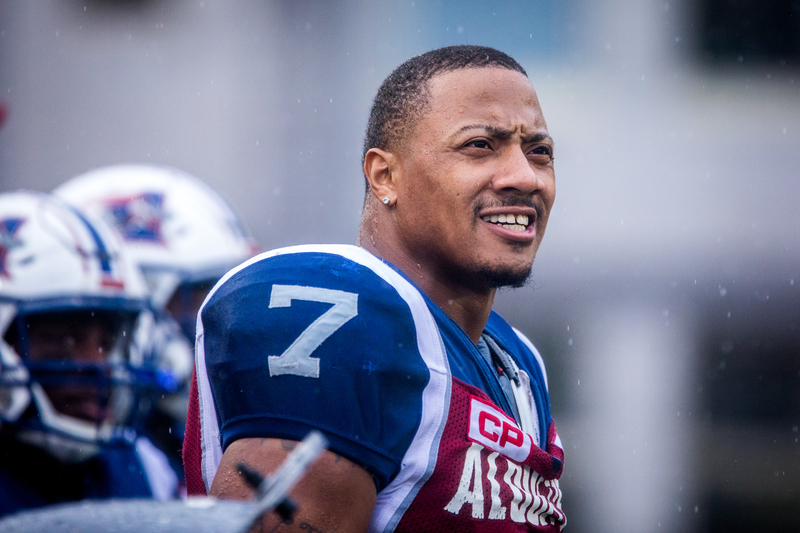 Bowman became the Alouettes’ all-time sack leader on September 21, 2013, recording his 67 career sack against Hamilton, a record that was held by his former teammate and good friend Anwar Stewart. At the end of the 2016 campaign, Bowman had collected an impressive total of 112 career sacks. He is one of only 10 players in the rich history of CFL to reach the 100-career sacks mark. In 2015, he dominated the CFL with 19 sacks, his best single-season performance. Bowman recorded over 30 defensive tackles in eight consecutive seasons, from 2008 to 2015. A key player on the field, he is also a great ambassador in the community. 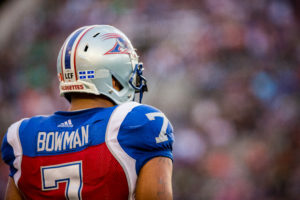 Bowman is involved in various Alouettes’ community programs including Together at School with the Alouettes, where he also took French classes. He studied marketing.